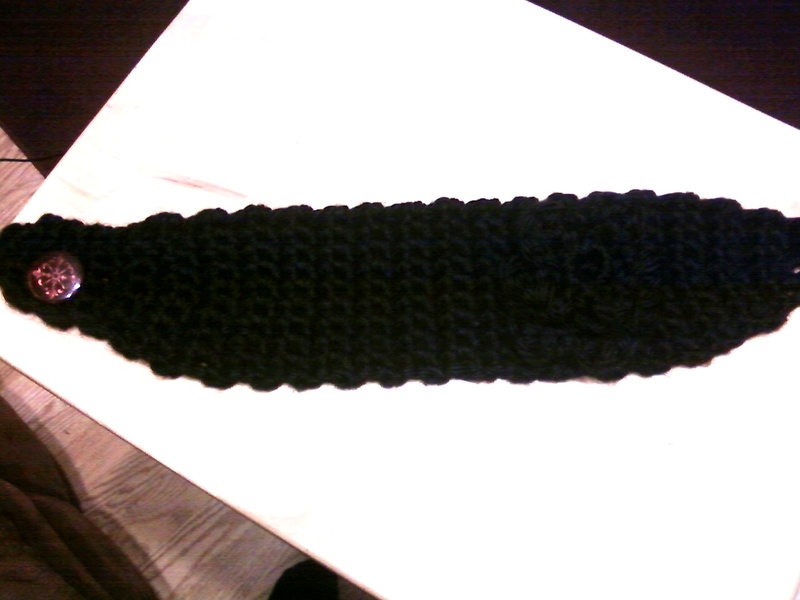 it seems like every girl i see on campus is wearing a knit or crochet earwarmer with a flower applique. i think they are so cute and have been keeping my eye open for a pattern i liked. i found one for knitting, but i started it and just wasn’t feeling it so i decided to whip one up with the trusty crochet hook. i didn’t follow a pattern for the earwarmer – it is just single crochet, started with 3 and added stitches until it was wide enough and decreased back down to 3 at the end. i made a little loop for the button by just chaining two in between the second and third sc in the final row. i used the darling posy applique pattern from crochet spot for the flower – made both the 5 petal and 6 petal and put the 5 on top of the 6.
it is just a touch too loose, but it seems to be staying on alright. i might be able to wiggle the button through a regular hole in the second or third row from the end. 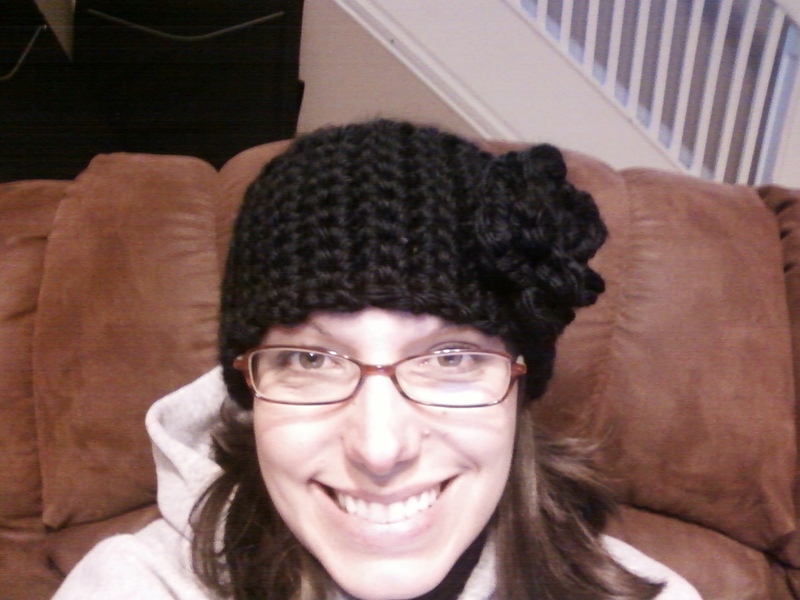 This entry was posted in Crochet and tagged applique, crochet, ear warmer, flower. Bookmark the permalink.